This biography of the Buddha is drawn from the original Pali texts and arranged in a way that tells the story of the Buddha's life while explaining his teaching. Though born a prince surrounded by luxury, Gotama Buddha was transformed by realizing that no one escapes suffering. He found, and for the remainder of his life taught, the answer to the great question: Is there a way out of this cycle? This unique biography presents the oldest authentic record of the Buddha's life and revolutionary philosophy. 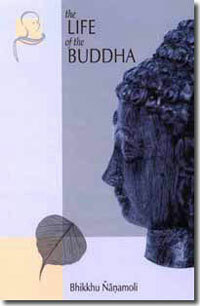 Vivid recollections of his personal attendant Ananda and other disciples bring the reader into the Buddha's presence, where his example offers inspiration and guidance on the path to freedom. This eBook is in Mobi (Kindle), ePub (iPad, Android, other e-readers), and PDF format. You will be given links for each format after checkout. eBooks in additional formats are also available.